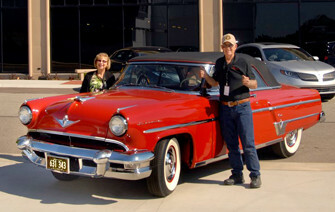 The LCOC presents three national meets each year-Eastern, Mid-America, and Western. One of the the twenty-two Regions of the LCOC hosts each National Meet. These extended weekend events are filled with activities, a full Concours, awards banquet, and good fellowship. Not just a meeting of the finest Lincolns and Continentals, but a meeting of friends and a members for fellowship, and to share common interests. The Lincoln and Continental Owners Club was formed in 1953 by Dr. Elliston Bell. The first National meet was held in Dearborn, Michigan, on October 16, 1954, with 151 Continentals participating. These included 1940 through 1948 Continentals only. The following year, there were two National Meets; an Eastern Meet was held in Bedford Spring, Pennsylvania, and a Western Meet was held in Santa Barbara, California. This post contains a video created by Jacob Dout covering the 2018 Mid-America Meet. It has gone from dream, to construction, and now it’s a reality. 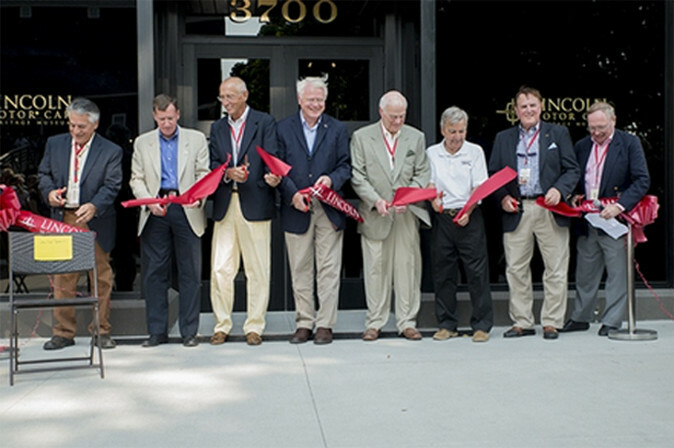 After years in the making, the Lincoln Motor Car Heritage Museum opened its doors to the public on August 9, 2014. The 15,000 sq. ft. facility is on the grounds of the Gilmore Car Museum in Hickory Hills, Michigan. The three day dedication event brought together a rare broad array of Lincolns from LCOC, LZOC, LOC and Mexican Road Racers. This event was facilitated by the Michigan Region, led by Director Dennis Garrett, with assistance from the LZOC, for the Lincoln Foundation. Join our website updates and notifications list so we can update you with new articles, events, and announcements. We hope we will all get to know each other better. LCOC does not sell, trade, rent or share any email information collected from this email opt-in. You will be added to our mailing list for website updates, events and club information.